Is your compensation strategy working for you or against you? Do the employees see it as based on their value or "timed served"? Wouldn't you rather have a compensation strategy based on your employees value and their increase in value over time? How do you measure employee value and apply it to compensation? Is your compensation strategy easy to understand? Would your employees agree with you? Many organizations base compensation on wage surveys and "timed served". 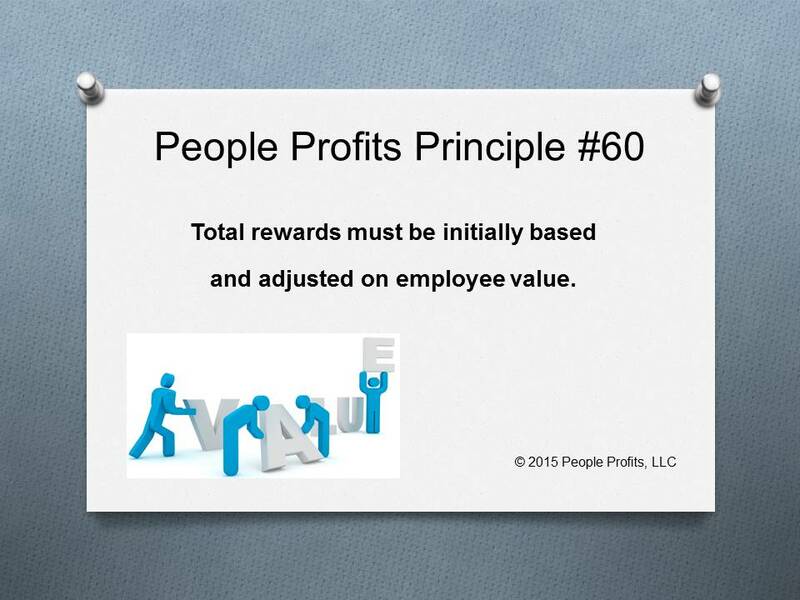 People Profits believes compensation should be based on value and increases in value over time. Artificial criteria for wages are harmful to both the employee and the organization. Equally harmful is not keeping compensation equal to value increases over time. A People Profits proprietary system called Value Pathing can help you.